A eucalyptus-scented thermotherapy experience awaits you in all four seasons in a unique rustic setting. Nestled in the heart of a centennial forest in Morin-Heights, Amerispa Spa Nordique Morin-Heights offers you a sensational relaxing experience in a pure Nordic tradition. The ecospa, or green spa, accords well-being with social responsibility. Nested at the top of mount Gabriel, Relaxia is a near divine experience! You will be charmed by Ofuro’s Japanese wooden architecture and its exceptional site. Le Cheval de Jade is a French fine dining restaurant high quality served in a relaxed and friendly atmosphere. The chef and his team cook excellent dishes with beer as well as several great regional classics. The St- Hubert rotisseries are one of the favorite family restaurant . We go there to have fun, celebrate with our love ones and eat well. At Le Routier, we have the desire to serve the best dishes ever. Located minutes from the cottage, everyone will love it. Renowned as one of the best places to have breakfast in Mont-Tremblant, the Arome Restaurant also offers a fine table d’hôte for lunch. The restaurant and bar Le Rustique proposes a reinvented kitchen made from local and seasonal products, according to the arrivals of the market. Super Aqua Club is an enchanting place where fun, laughter and magic meet. Within its forest park are 100 aerial challenges and activities, more than enough to provide strong sensations to children and adults alike. Horse riding just a little over 30 minutes away from the cabin. The largest water park in a mountain setting. Parc aquatique Mont Saint-Sauveur is THE family experience. The Alpine coaster is a single car that slides freely in a series of steep descents and circular curves on a track cut through rugged mountain terrain. The municipality of Morin-Heights maintains a hundred miles long of trails for cross-country skiing and snowshoeing. 45 miles are traced mechanically. Morin Heights is a family-oriented ski resort settled in a microclimate taking advantage of abundant snowfall. A casual atmosphere and efficient chairlifts. Less than one hour from the cottage, Mont Saint-Sauveur is the world’s largest evening ski resort. Mont Blanc is a large mountain with the atmosphere of a small one only 15 minutes from the cottage. It has the size and variety to satisfy beginner as well as expert skiers. International destination, furrowed by 95 tracks, the mountain dominates a breathtaking landscape. All that only 15 minutes from the cottage. Taste the pure freedom, live Tremblant! The Alpine golf club is located on an green illuminated site since 1910. Succumb to the charm of a nearly century-old place supported by legendary hospitality. The Lachute among the most beautiful golf courses in Canada. The grass is always greener on us! 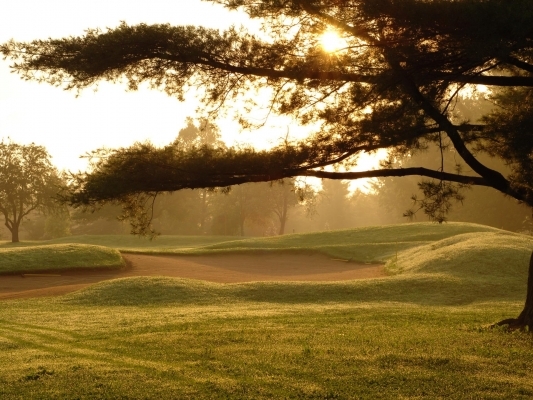 For many years now, the Royal Laurentien is ranked as one of the most beautiful golf courses in Quebec and Canada. Le Géant golf course will leave you breathless with the beauty of its scenery. Carved on the side of the mountain plateau, it sets a great view of the magnificent nature of the Laurentians. Located in Morin-Heights, Le Balmoral’s 18-hole is recognized for its top-level quality. It represents a challenge for golfers of all levels, from beginner to expert. The Lac Raynaud Beach, located at Domaine Saint-Bernard, is a real hidden treasure! Situated in the hart of the town of Sainte-Agathe-des-Monts, this beach allows visitors and residents the opportunity to cool down while taking advantage of the services offered in the downtown area. Major beach is situated near Camping Sainte-Agathe-des-Monts and the École de voile. It is the largest beach at Lac des Sables. In the heart of Sainte-Adèle, this beach attracts locals and vacationers because of its family ambience, beautiful environment and the quality of its clear waters. A Bike shop specializing in the sale, repair and bike rental. Our specialists are there for you! Once a 40 miles railway, it’s perfect for cyclists looking for a safe wilderness experience. Drive slowly on the bike trails while taming the forest landscape. Eight circuits totaling 124 km of trails with beautiful views . Bike rental available.